Six years after the government removed the gate at his Rabacca property, creating an unhindered thoroughfare for pedestrian and vehicular traffic, businessman Leon “Bigger Bigs” Samuel has reinstalled a gate there. Samuel, who is manager of Bigger Trucking & Block Construction Co., told iWitness News on Tuesday, New Year’s Day, that while the gate was reinstalled on Dec. 5, 2018, it was always his intention to lock it on Dec. 31, 2018. Samuel said that he went to the property at 8:30 p.m. on Old Year’s Day and locked the gate. He said he went at that time because he did not think that any farmer or their vehicle would have been on their farms, located north of his lands, at that time. 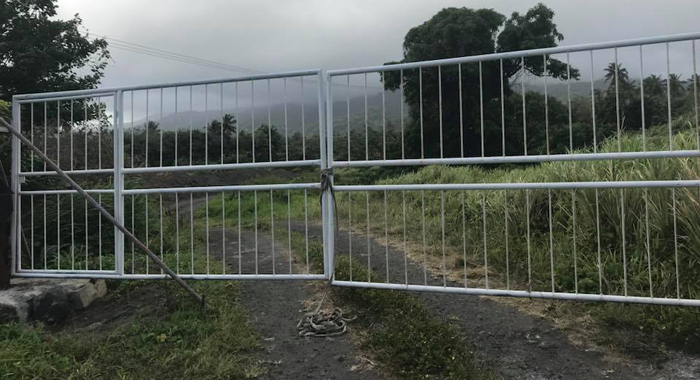 In September 2012, chief engineer Brent Bailey ordered the Buildings, Roads and General Services Authority (BRAGSA) to remove the gate from Samuel’s property at Rabacca. Bailey said the action was taken in accordance with the Roads Act, which gives the Chief Engineer authority over all public access roads in St. Vincent and the Grenadines. Samuel had locked the gate to the property, even as farmers said there is a right of way there, which allows access to their lands. But Samuel has maintained that the property and the road there are private, and had expressed concern about the security of the EC$1.5 million in equipment there, after the gate was removed. In 2011, the government rescinded Samuel’s license to mine aggregate on lands he owns at Rabacca. Samuel said that the government’s decision forced his business to close. 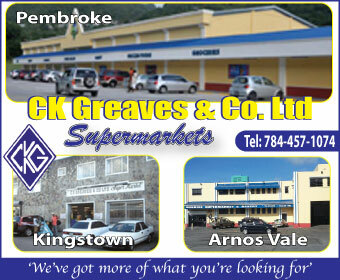 The closing resulted in the loss of employment of over 60 persons and millions in losses, Samuel has said. “It is our intention for this new year that we are going to resume work at Rabacca. And in the process of doing this, there are some outstanding matters that need to be addressed. And we know, our property has been used for some time now as a roadway and we cannot allow it to continue indefinitely,” Samuel told iWitness News. He said that engineers, surveyors and residents of the area have said that there was never a public road through his property. Samuel interpreted, as a similar admission, a statement made by Minister of Transport and Works, Senator Julian Francis in Parliament last February. Samuel said that for years his company has just wanted to establish that there is no road through the lands at Bower, but it was willing to allow access, based on terms. Samuel told iWitness News he expects resistance from the government but is resolute in his intention. “This time, I am willing to take this to the end… I am not going to stop this time until I get what I want. What I want is the restoration of my business. However, given the apparent drastic action taken by an agency of the State, his attorney would have failed him if had had not advised him of legislative options available to the State. In this instance, ‘…compulsory acquisition’ of that portion of land for public use. or the common good. New Year greetings to all.